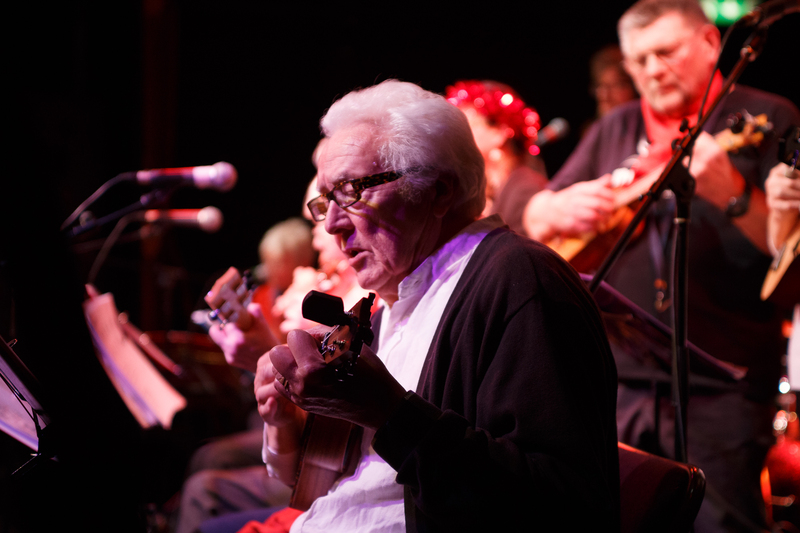 Tea & Jam is an invigorating music club aimed at rusty players and beginners aged 60+. The group predominantly play ukulele, but welcome players of other instruments or simple percussion. Tea & Jam has been running since 2013 and has steadily grown to form a weekly group who perform live at local festivals and events. The group is lead by multi-instrumentalist James Vigurs and meet every Thursday for tea, biscuits and a relaxed play along to popular, fun and simple songs. New to the uke? That’s fine – you’ll be introduced to the group at your own pace and provided with chord charts and guidance to get you started. It just so happens Tea & Jammers are a lovely bunch too!